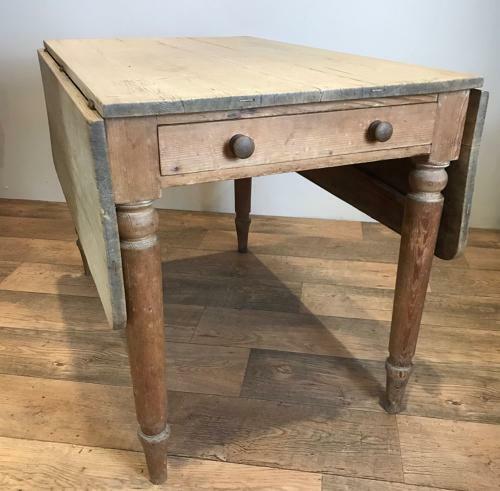 A nice Victorian drop leaf pine table. With double drawers either side of the table. It is a nice size and would be ideal as a small dinning table. It has traces of original paint on the legs and has a lovely scrub top which has had a light clear waxing. Size when folded is 107 x 69cm. It came from a beautiful old farmhouse in Norfolk England.